If you love the idea of a wooden cabin as a forever home, then continue reading this homify 360 feature! This house has traditional feel with a classic atmosphere, however the exciting factor is that it is a practical modern home away from the city. 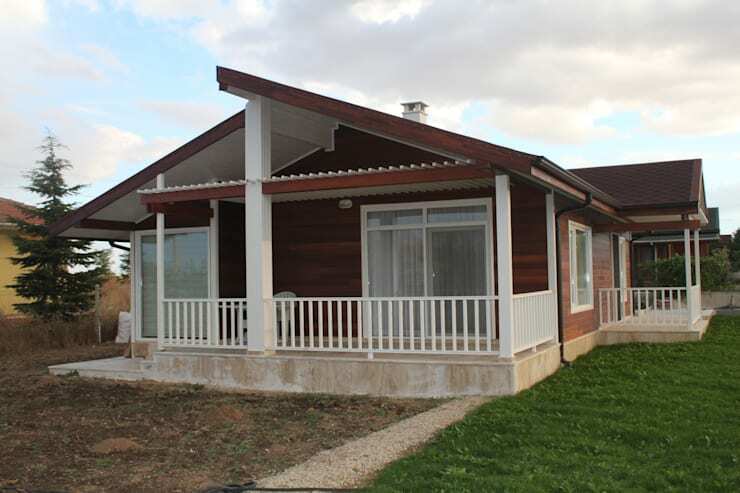 The cabin is the perfect escape, allowing the occupants to take in the fresh air and lovely environment of the location. The home is inviting and cosy, and although it may look small from the exterior, the interior promises to be a spacious living space. The architects of this wooden cabin definitely had a great plan for a sun-loving layout, and we cannot wait to explore it. This terrace is chic and elegant. The wooden exterior adds to the cosy atmosphere of this home, while traditional style of the exterior is so welcoming, we cannot help wanting to enter and explore. The perfectly placed windows of this wooden cabin ensure panoramic views of the surroundings, now just consider this with a beach environment, or maybe something more mountainous? 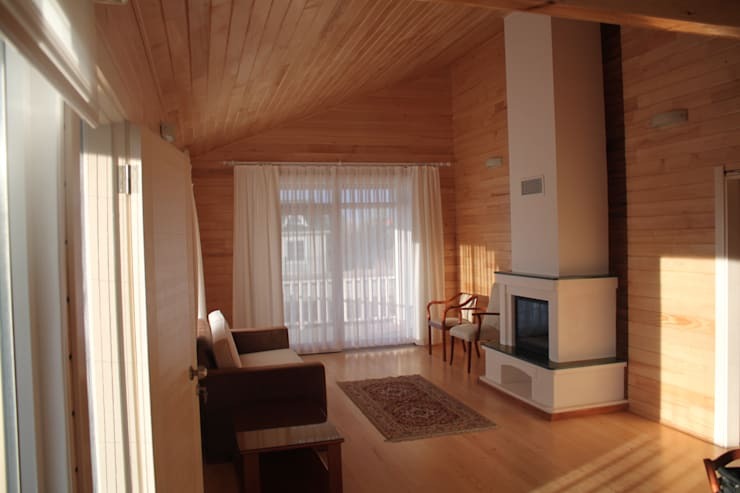 This wooden home is a durable option for modern living, with measures taken to prevent the extreme cold and chilliness of winter from being an issue for the inhabitants. The wood has been treated against water damage and fire, making it a great choice to enjoy the fresh air and natural sunlight of the surroundings. 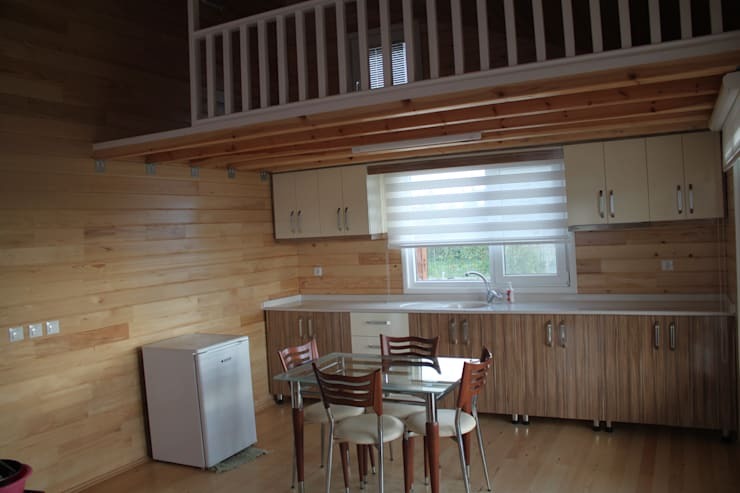 As you can see this wooden house is spacious and beautiful from the inside too. The open plan living space allows the home to seem even larger and more welcoming, while the simple kitchen and dining area creates a comfortable zone for intimate dinners. The mezzanine level of the home is the sleeping quarters, and adds a sense of privacy to this modern living space. 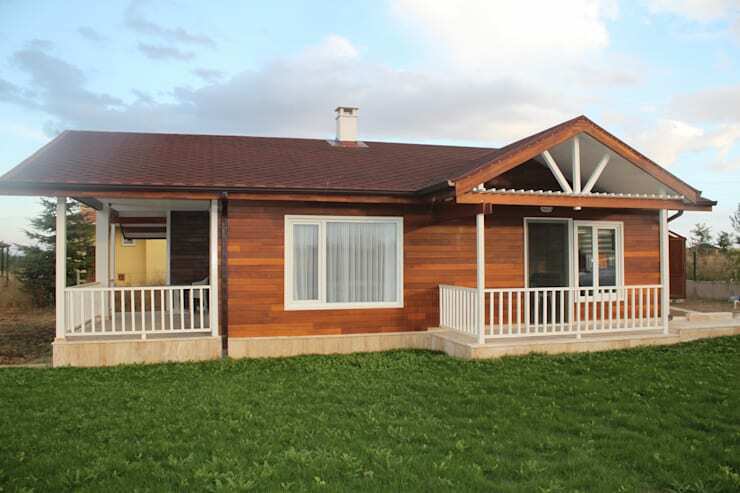 The wooden décor of this home creates a comfortable interior and stylish exterior. As long as the wood is maintained and treated with utmost care, it should last for a good few years. This gorgeous construction is a great space for small families that enjoy the simple things, such as discovering new environments and taken in new experiences in style. A living room such as this is unbelievably minimalist in style and elegance. It has a neutral tone and classic atmosphere that is accentuated by the fireplace. 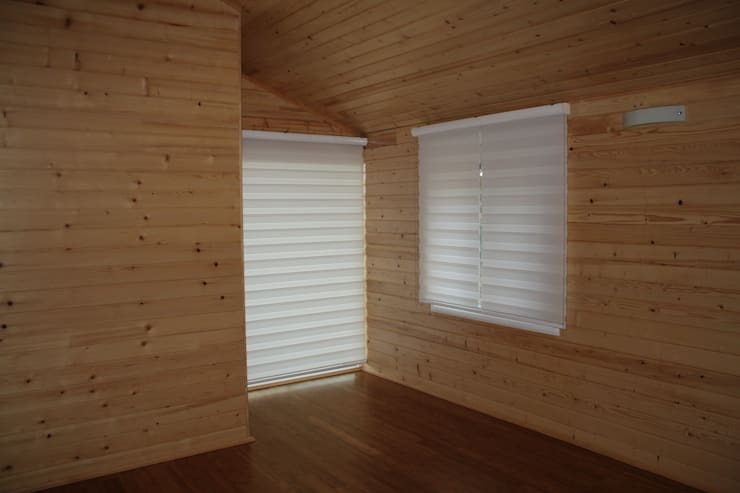 A fantastic addition to this wooden space that will need some warmth to brave the cold of winter. The natural neutral shades of wood adds to the elegance of the interior, creating a stunning home experience that has a country-like charm. 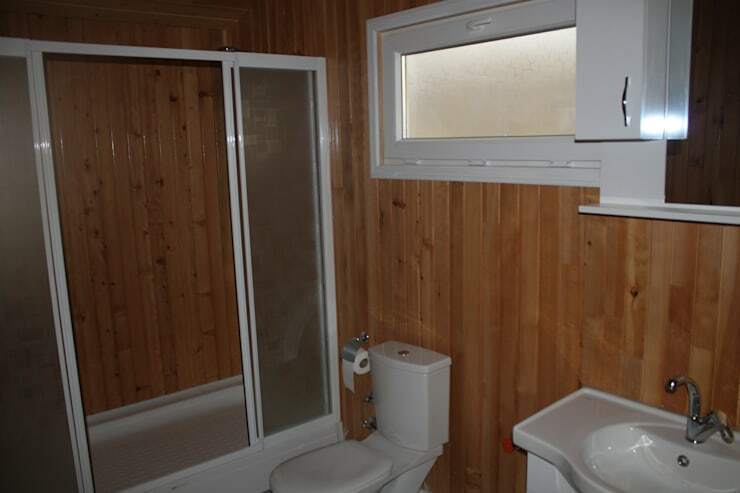 We have reached the end of our Ideabook, but we need to admire the modern style of this bathroom before we leave. The wooden elements have been incorporated into this space as well, and works particularly well with the all-white fixtures and fittings. Gone are the days of the outdoor bathroom for the cabin. This home is classic with a sense of contemporary living. How about: A surprisingly low cost home in Pretoria? What you you think about this wooden home?